Yamaha Motors was looking for items to give out to their riders after test driving their off-road vehicles. 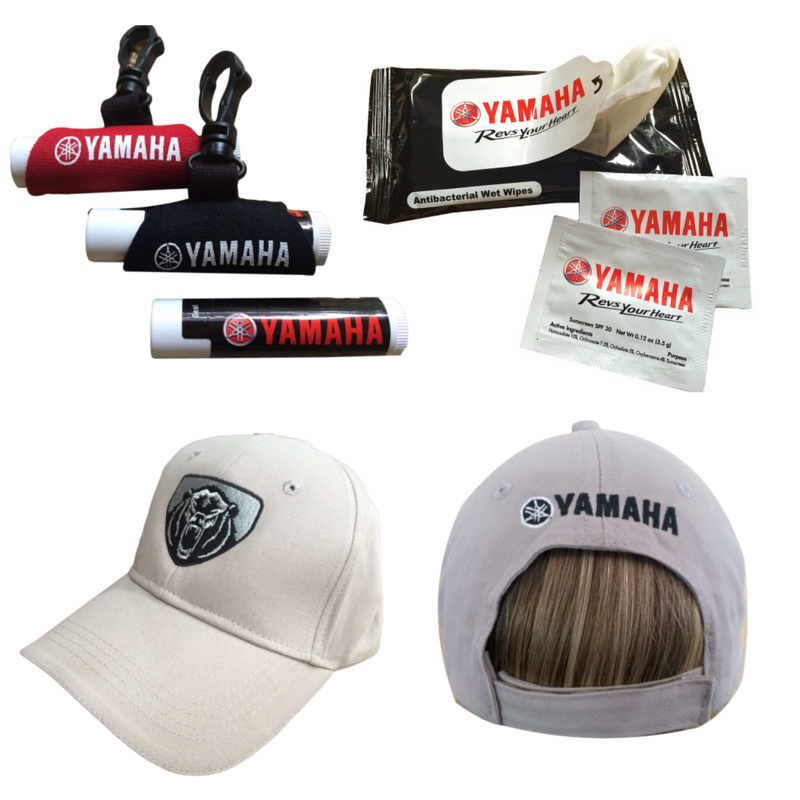 Yamaha's goal was to find items for the riders that they could use to make their experience even more enjoyable and at the same time advertise their brand at an inexpensive cost. Wearable Imaging created antibacterial wipes, sunscreen packets, and lip balm with their logo on it to give out. The antibacterial wipes were for the drivers to easily grab and clean their hands, or wipe down their steering wheel or handle bars and the one time use sunscreen packets are SPF 30 which helps avoid sunburns when test driving. The lip balm is in a neoprene sleeve with a clip which easily attaches to your keys, backpack, or belt loop. In addition, Wearable Imaging also provided hats for Yamaha to introduce their new Kodiak ATV.